You are going to Watch Avengers Assemble Episode 8 online free episodes with HQ / high quality. 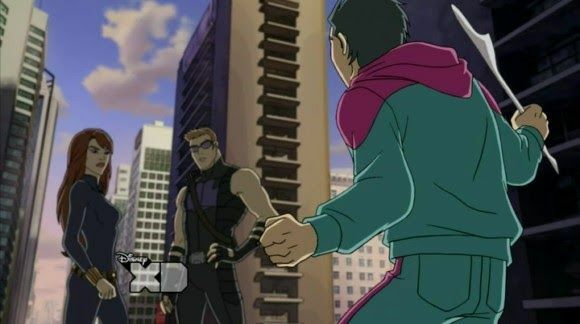 Stream cartoons Avengers Assemble Episode 8 Online Molecule Kid. Hawkeye and Black Widow take on a covert S.H.I.E.L.D. mission to bring in Molecule Man’s son Aaron where Nick Fury wants the mission to be kept private from Iron Man. But when he’s revealed to have a world-bending weapon that was wielded by Molecule Man, they realize keeping their mission a secret may be a fatal mistake when A.I.M. Agents, MODOK, and Super-Adaptoid target Molecule Man’s son so that Red Skull can shape the world into his own vision….